In the 1870s and 1880s, the USA came the closest it has ever come to establishing a national education system. Congress considered twenty bills that would have provided federal funding and oversight of education. Despite a major campaign, the effort failed. Meanwhile, other countries successfully adopted comparable national acts. What were the causes and consequences of the failure to do so in the USA? 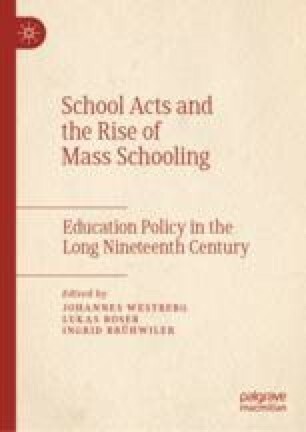 This chapter analyzes the failure to pass a national education act in relation to interregional partisan politics and economic interests in the post-Civil War USA. It argues that though the imperative of national integration may have been common to the USA and other countries, the choice of means was not. That decision had consequences that are still being realized.